Take 1-2 gummies daily as needed. Stress is something most of us deal with on a daily basis. It could be your boss, the four-hour layover, or the upcoming visit to the in-laws next Friday. For some, stress and even anxiety are more extreme issues they have to face daily. Persistent stress can be damaging to your health and can even result in death. Severe daily stress and anxiety can cause damage to your heart, gut, brain and so on. Taking care of yourself is important. Slowing down and having a glass of wine, unwinding in a yoga class, or enjoying a CBD gummy can all be great ways of self-care. What are CBD gummies? CBD gummi bears are becoming more popular for people who need to relax. Whether it’s a one-time general stressful situation or an anxiety disorder—CBD gummies might be a great option for you. Instead of a highly addictive drug like Prozac, you can get non-addictive relief in the form of candy. CBD is very different from THC. CBD and THC are both types of cannabinoids found naturally in marijuana and hemp plants. Unlike THC, CBD will not give you the feeling of being “high” usually associated with cannabis. It calms and relaxes you without making you feel loopy or in need to go on a desperate search for Cheetos. Will CBD gummies get you high? No. 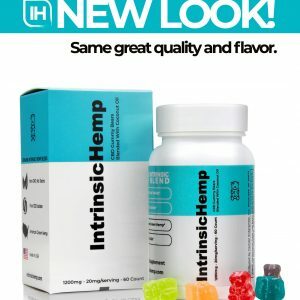 A common question is "do CBD gummies work?" CBD is believed to be very effective for panic disorder, obsessive-compulsive disorder, social anxiety disorder, and post-traumatic stress disorder. Have you ever laid down in bed completely calm ready to go to sleep and at that very moment, your brain decides it needs to solve world hunger? Some people find that treating themselves to CBD sleep gummies before bed can help their mind and body relax and can get them to sleep faster and easier. A good night's sleep. in turn, can help you feel less stressed or anxious during the day. CBD oil gummies work naturally with your endocannabinoid system regulating your physiology, mood, and overall well being. The endocannabinoid system consists of receptors found all over the body. • CB1 receptors are found in the brain and deal with coordination, thinking, emotions, mood, appetite, memories, and many other functions. • CB2 receptors are more commonly found in the immune system. They impact inflammation and pain. CBD seems to activate these receptors. With these receptors having such an impact on mood, appetite, memory, and pain, it seems obvious how CBD oil gummy bears can be an incredible resource and effective natural aid for many conditions. Many different studies have pointed to CBD as an excellent solution for stress and anxiety. CBD is thought to have an effect on the brain receptor called CB1. CB1 is one of many tiny proteins that receive chemical signals from different stimuli and help your cells respond. It seems CBD affects CB1 which then alters serotonin signals. Serotonin plays a significant role in your mental health. Low serotonin levels can lead to depression and anxiety. The endocannabinoid system plays a huge role in monitoring sleep patterns. Because of the way CBD stimulates the endocannabinoid system, it can help regulate and stabilize how you sleep. CBD before bed can even help enable longer periods of uninterrupted sleep. CBD may also be able to promote more REM sleep. REM sleep is what will give you the rest you really need. CBD has the potential to address the symptoms of sleep apnea and insomnia by inducing a state of physical and emotional calm. By establishing a routine of taking a CBD gummy bear before bed, you may be able to fully stabilize sleeping patterns and dramatically alleviate the impact of sleep disorders. Among the many benefits of CBD, chronic pain relief is up high on the list for many people. People who deal with constant daily pain of all kinds have found themselves having to turn to pharmaceuticals that can be destructive and addictive. CBD and Prozac can hardly be compared when it comes to their side-effects. Where pharmaceuticals have a long list of side effects, CBD has rare and mild side-effects. CBD gummies provide a natural solution. New information suggests that CBD may be very useful in chronic pain relief by inhibiting neuronal transmission in pain pathways. The Journal of Experimental Medicine published a 2012 study which discovered that CBD had an impact on pain relief in rodents. They found that chronic inflammatory and neuropathic pain was significantly suppressed without causing analgesic tolerance. CBD may be able to help you successfully manage and overcome chronic physical pain. It can relax your muscle fibers and replace the sensations of chronic pain with an overall feeling of relaxation. Of course, dosage matters when dealing with pain relief—CBD oil 1000mg gummies may be more effective than 250mg CBD oil gummies. It's best to experiment to find the best CBD dosage. CBD is also being studied to provide benefits for those dealing with a wide variety of other ailments. For example, cannabis has been used for centuries to suppress nausea and vomiting. Research has revealed that CBD does indeed help stop nausea and vomiting in animal studies. 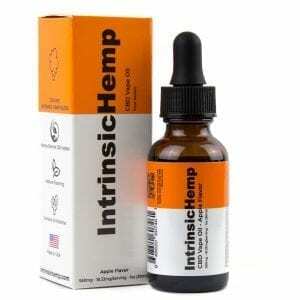 Studies suggest that CBD acts in a diphasic manner. In low doses, it suppresses toxin-induced vomiting, but in high doses, it increases nausea or has no effect. CBD has been found to have a positive impact on heart health and in fighting diabetes. 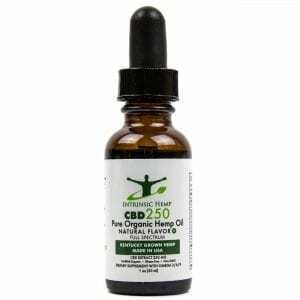 CBD may have anti-seizure properties and significantly help people with epilepsy. Findings suggest that CBD may also treat many complications linked to epilepsy, such as neurodegeneration, neuronal injury, and psychiatric diseases. Because CBD does not have the same psychoactive effects as THC, CBD is considered legal in all 50 states. CBD gummies are small enough to go with you and help you relax along the way. CBD is non-addictive, and you won’t build a tolerance to it. Some people take CBD gummies once in a while to take the edge off. Other people look to CBD gummies for a long-term maintenance solution to help them improve their quality of life. 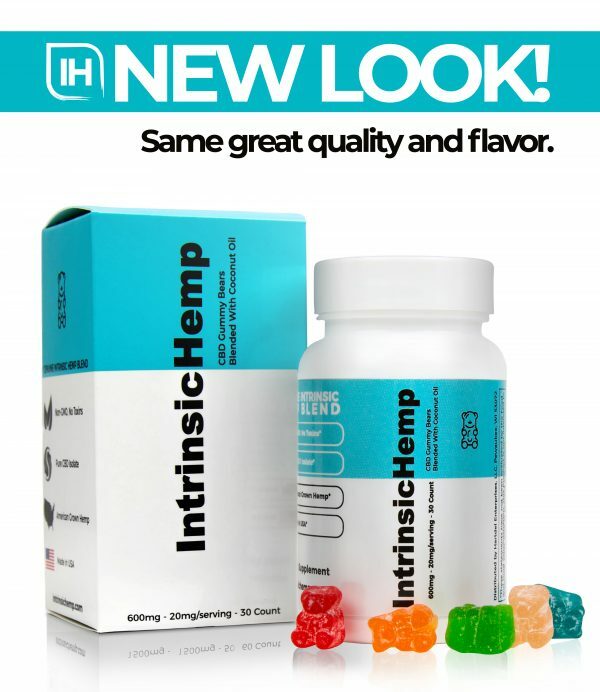 The best CBD gummies may produce immediate benefits short-term or long-term. What makes our CBD gummies better? 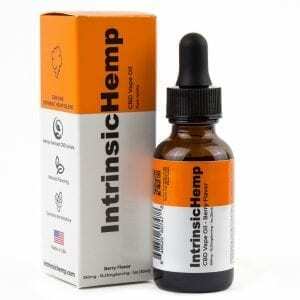 Intrinsic Hemp’s hemp plants are grown in Kentucky and without harmful pesticides or herbicides. We carry only the best CBD gummies. If you are looking for a CBD gummy review, check out our many fantastic reviews on our product pages. Our organic CBD gummies are made from natural organic CBD isolates and are specially formulated with coconut oil to support the body’s absorption process. 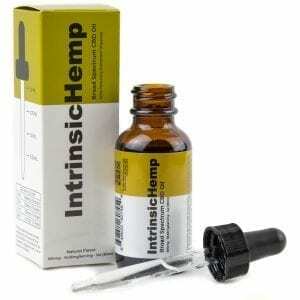 Intrinsic Hemp’s strict standards mean you get the highest quality pure hemp oils and CBD oils. If you're looking for the best CBD oil gummies for pain, anxiety, and sleep disorders, look no further.